It is with very mixed emotions that I send this message to inform you that I have stepped out of my position as the Dean of the University of Arizona College of Nursing. The joy for me is that I will continue in a faculty role to provide leadership within special and focused realms. Senior Vice-President for the Health Sciences, Dr. Michael Dake conducted a search for the next Dean of Nursing and has selected Dr. Ida “Ki” Moore as Interim Dean. You can be sure that this will make for a seamless transition and continue a tradition of excellence that we have all come to expect from the College. Ki is a long-time member of the faculty, a dedicated teacher, accomplished researcher and passionate nurse. She has been a member of the administrative team all through my deanship, is very knowledgeable about all facets of the College and will be superb in leading the college mission and facilitating the working relationships with all of you. It has been my honor to serve as your Dean for the past nine years and I am very proud of what we have accomplished together. Thanks to dedicated division and unit leaders, faculty and staff, we are focused on the student experience with attention to inclusiveness, diversity and preparing nurses for the future of healthcare. Through collaborative teamwork, faculty are breaking down conventional education models and generating new and novel modes of learning. Mentoring is extraordinary across all our programs. We have continually evolved our efforts to serve communities that now, more than ever, need qualified healthcare professionals. We have grown our degree programs by two to three times and the faculty team has more than doubled. We derive pride from the cadre of successfully funded researchers in signature areas of nursing and health-related research. We have established a faculty practice domain that is unique, versatile and ready for new versions. We are expanding our community outreach to professionals in nursing and health care through innovative continual professional education, often in partnership with practice partners; and to the lay community through consultations and presentations. We are positioning to expand our global connections. Our staff colleagues are teamed to provide essential and highly competent support for reaching our existing, emerging and ever lofty goals. You can see that we will continue to build on a solid foundation that started with the inauguration of the College in 1957. 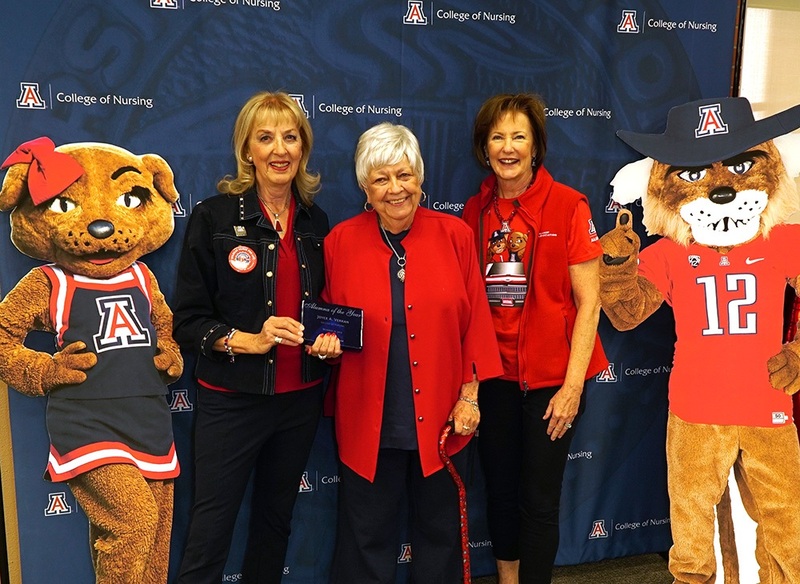 It is with utmost sincerity that I thank you for unwavering support for the UA Wildcat College of Nursing during my tenure as Dean. It is through your generous service, financial and moral support that we have prospered. With your continued support, I know that the College will reach even greater heights!